Ecogreencoirs guides you feeding birds on regular basis with proper procedure in an Eco friendly way, having a variety of bird feeders as its main products. To take care of birds! The best way to enjoy and take care of the birds in your neighborhood is by feeding them properly. When you start feeding the birds, you will be amazed to see the variety of birds that would throng your neighborhood. So when you decide on feeding the birds on a regular basis, try doing it with proper procedure for which Eco Green Coirs help you take the mission forward. At Eco green coirs, we have bird feeders which is a small structure placed generally outdoors, mainly to feed the birds and which are Eco friendly in nature. Bird feeders are also known by the name bird table or tray feeder and it has to be positioned appropriately to easily attract the birds. Different bird species require different food varieties and therefore it is necessary to categorize the feeders according to the type of birds that visit the place. Birdwatchers and Eco conservationists prefer these bird feeders as it helps many endangered species from becoming extinct. 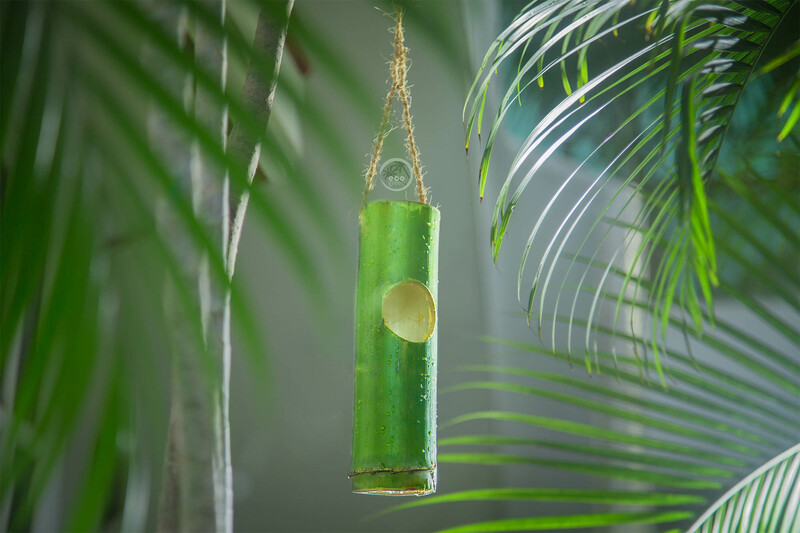 There are different types through which these bird feeders could be designed- bamboos or coir pot and could also be modified in shapes like- oval, single hole, table top, two holes, v-cut or single hole in the coconut. Every style and shape of the bird feeder designed is Eco friendly in nature and is user friendly for the birds. During the winter season, it is difficult for the birds to find food and hence these feeders could help the birds in surviving their hard times. Bird feeding is a passion for many. And if you like to take care of your winged friends, it is important to note down on specifics. Choosing a bird feeder- Choose only natural products as the feeder, so that it is harmless in nature. Eco green coir specializes in natural way of manufacturing bird feeders. Our bird feeders are made up of coconut shells with enough space inside for the birds to go in and come out. Also, it is necessary to place more than one feeder, to avoid crowding of birds. predators. It should always be placed on a large tree so that the feeders do not fall to the ground and at the same time it should be convenient for the birds to have their food. Feeding the birds- Feeding the birds all over an year depends on the birds that visit your neighborhood. Take a survey and note down what are all the birds that visit often. For some birds, feeding them is seasonal and for the rest it is always a must throughout the year. For ornithologists and environment conservationists, Eco green coir is always here to help you.